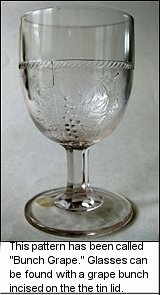 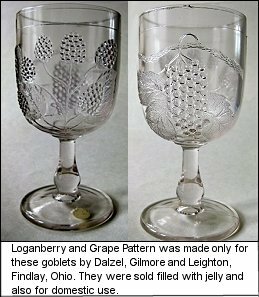 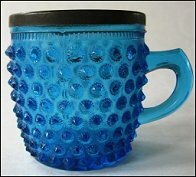 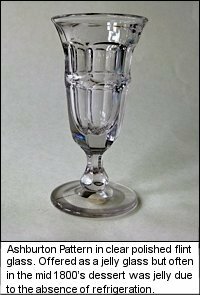 Early American Pattern Glass is only in the period (ca) 1850-1910. 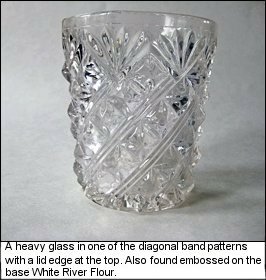 Sets of dishes were made by many glass factories and most all patterns included some form of jelly or jam dishes, containers, tableware or preserving vessels. 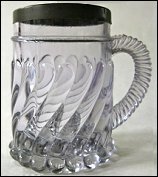 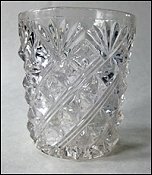 This pattern glass or pressed glass, as sometimes it is called, was usually clear crystal glass, but also appeared in a limited number of colors. 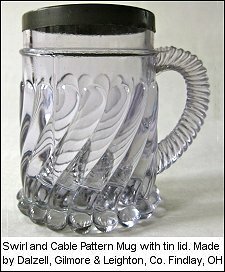 The glassware was made in cast iron molds making it cheaper than blown glass. 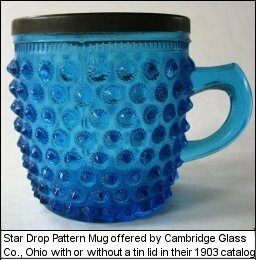 Many patterns ensued and brought about patenting of designs.